It's been too many days since my last post; a writing commitment had me stuck with my nose in MS Word. Now that the work is finished and submitted, I can get back to what I like most. . . spending time here with you. Captain Dennis has been working on plans for our new cottage. Prior to his retirement to pursue art full-time, he was a successful architect, so I know he'll do a smashing job with the design. It's fun to collaborate with him. I've been Googling, pinning, collecting and printing inspiration like a mad woman. Every time I mention something I'd like to have in our cottage to Captain, he answers, "Show me a photo." I'm wondering if I might need to take out a loan for printer ink. 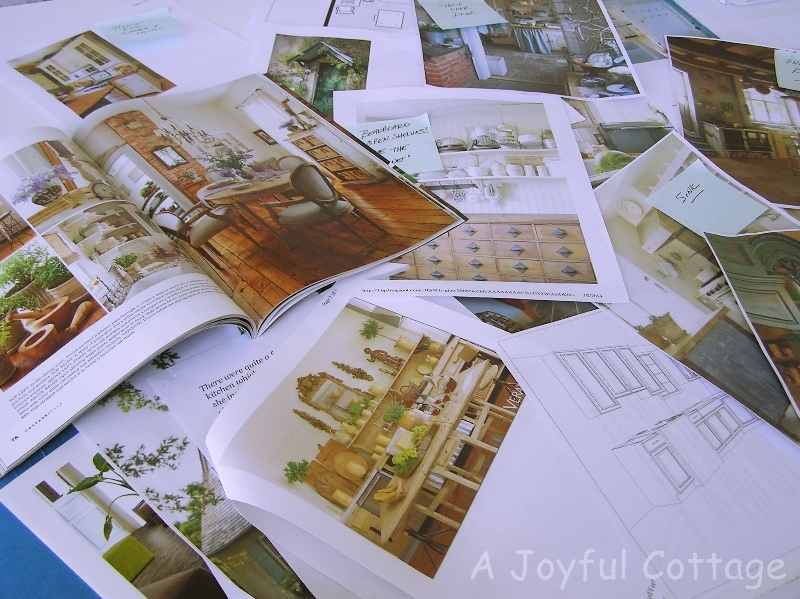 One thing I know for certain, there's more than enough inspiration via all the fabulous home and garden blogs I read. 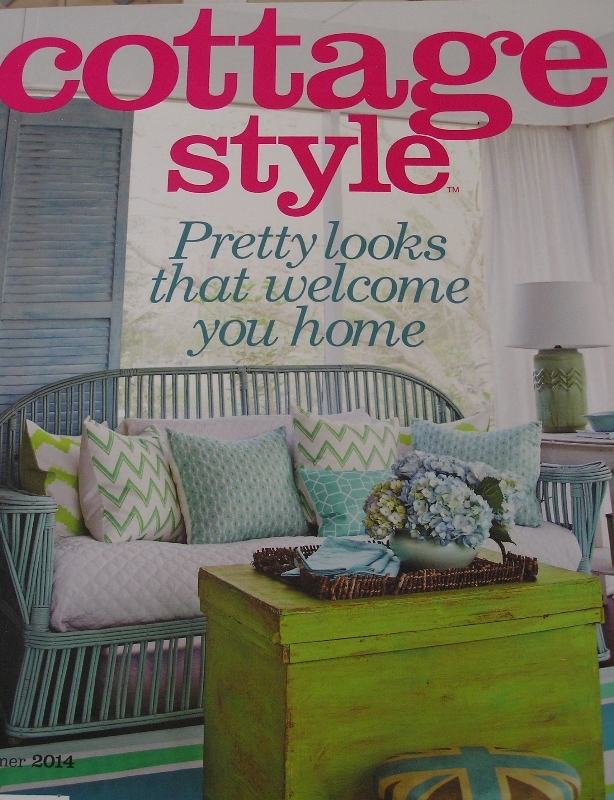 Speaking of which, I was thrilled to see Jennifer Grey's home featured in the Spring/Summer issue of Cottage Style magazine. If you haven't discovered Jennifer's blog The Old Painted Cottage, you're missing out. She's a remarkable woman with dynamite taste. 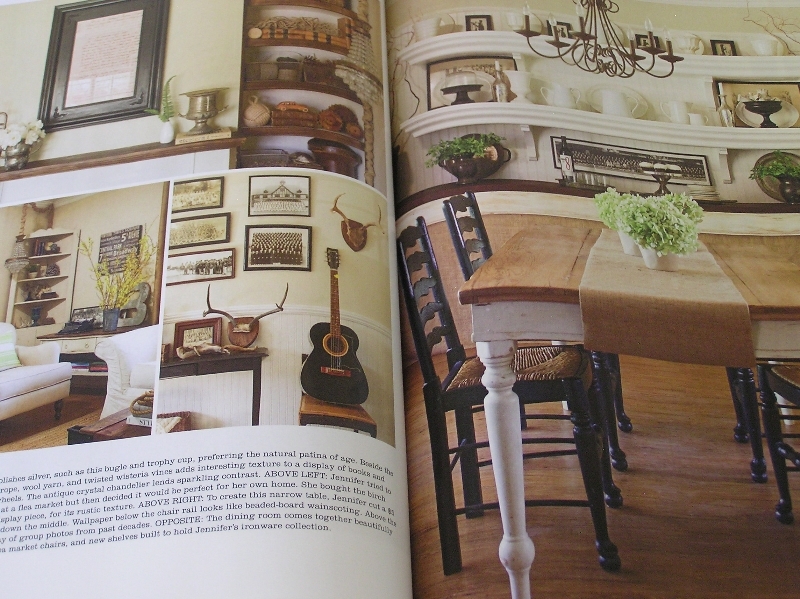 I love her style, and always look forward to her Cottage of the Month feature. I'll be sharing more about our new home in the days ahead. I should tell you that it will be a true cottage in the sense that it will be small, and a single story. Bigger than our last home of 640 sf. The plan's current version is about 860 sf. Thanks, Kim. This is my first time to build a new home. In the past it's always been remodeling someone else's remuddle, and I've done more of that then I can count. Starting from scratch is a lot more fun. What fun, my favorite thing is the creation . . . enjoy this time Nancy . . .
Oh, I'm so excited. I can't wait to see more of that cottage of yours! Thank you Magali. I'm looking forward to sharing the journey. I'm also excited about your kitchen remodel, and can hardly wait to see what you finally come up with. I know it will be great. How exciting! You'll have to show pictures of the whole process. I am new to your blog and am glad to have found it! Looks like I am getting in on the ground floor of your new cottage plans. Looking forward to seeing how it all turns out! Nancy, I can't wait to see how fabulous your cottage will be! Hubby laughed at me when we were finishing our basement. I showed the cabinet guy 6 or 7 photos. I think he appreciated it and when he drew up the plans they were just what I wanted. Pictures do help. I must get that magazine! I have not visited Jennifers blog in a while, but it is fabulous! Sheila, it's funny you should mention "a little cabin". Our last home, which I mentioned was 640 sf, was in the Colorado Rockies on 1/2 acre. My husband called it a "cabin". I called it a "cottage". We compromised and called it the "cab-age". :) I hope one day you do get your cabin in the country.